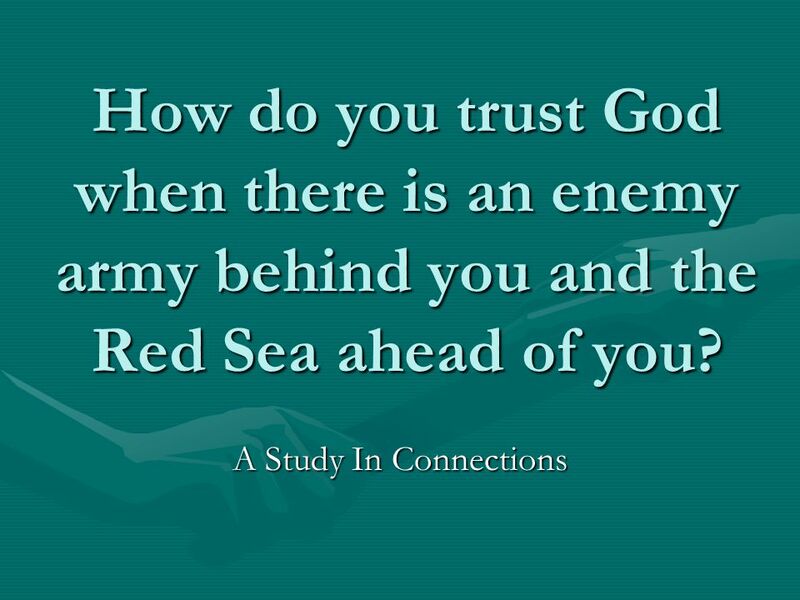 2 As Pharaoh and his army approached, the people of Israel could see them in the distance, marching toward them. The people began to panic, and they cried out to the Lord for help. 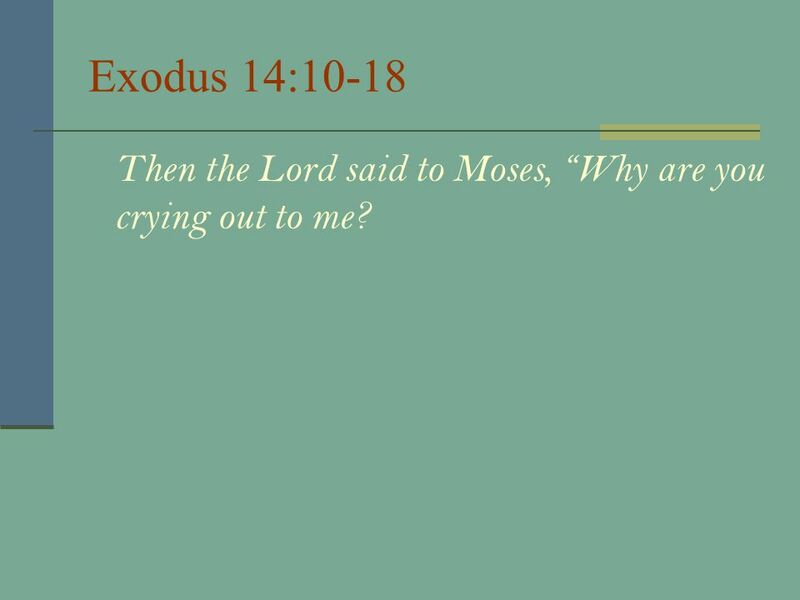 7 Exodus 14:10-18 Then the Lord said to Moses, “Why are you crying out to me? 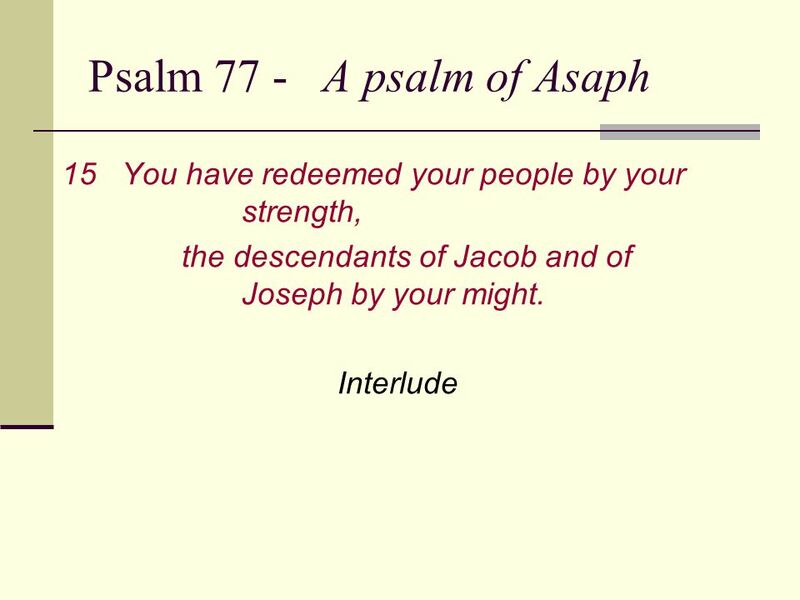 8 Psalm 77 - A psalm of Asaph 1I cry out to God without holding back. 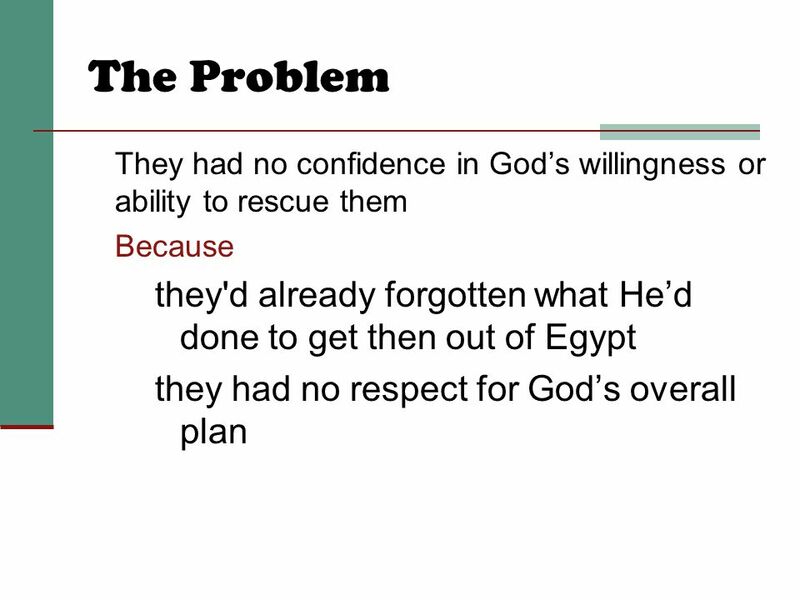 Oh, that God would listen to me! 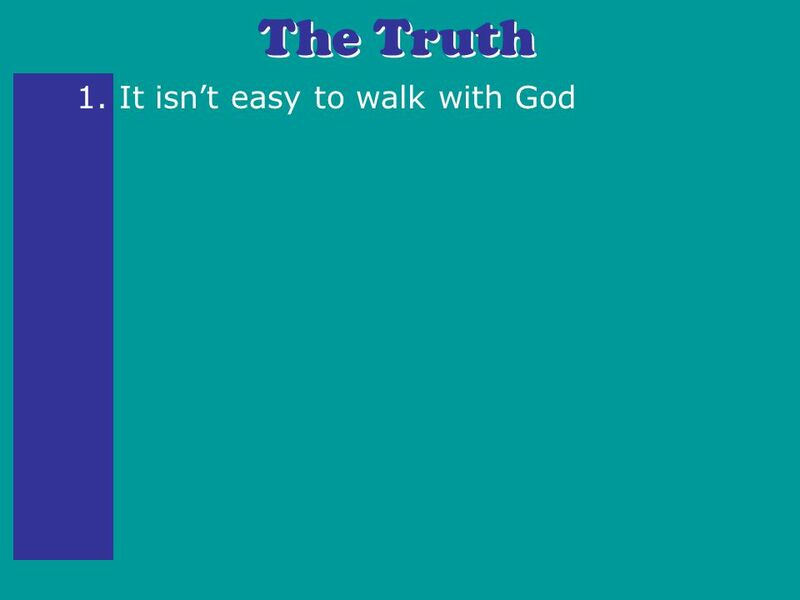 2When I was in deep trouble, I searched for the Lord. 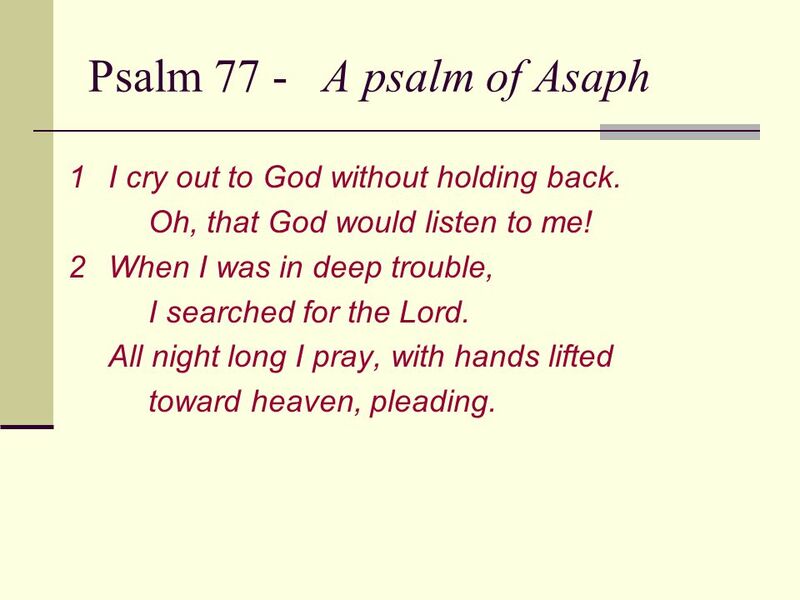 All night long I pray, with hands lifted toward heaven, pleading. 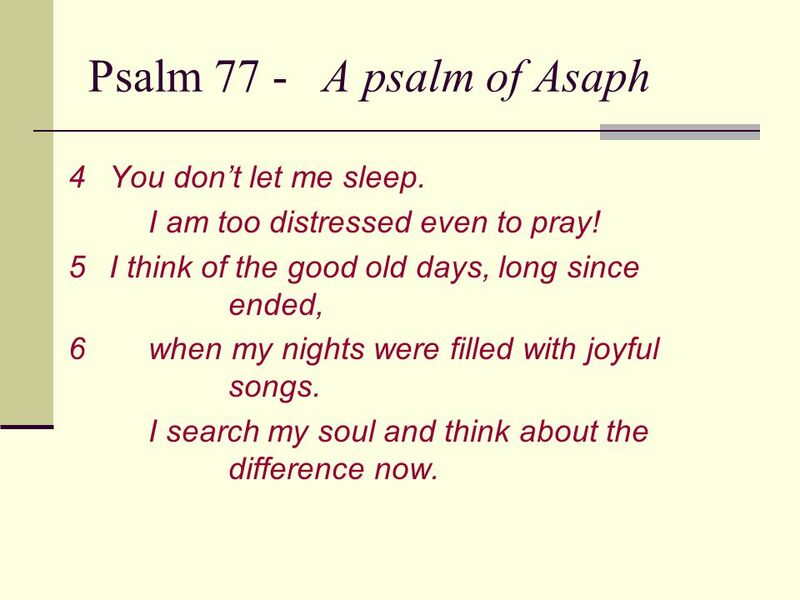 10 Psalm 77 - A psalm of Asaph 4You don’t let me sleep. I am too distressed even to pray! 5I think of the good old days, long since ended, 6 when my nights were filled with joyful songs. I search my soul and think about the difference now. 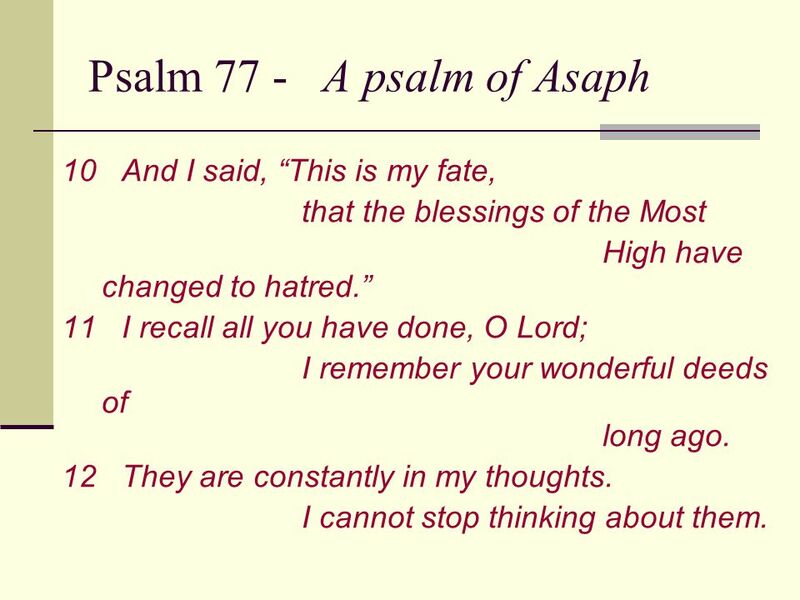 12 Psalm 77 - A psalm of Asaph 10And I said, “This is my fate, that the blessings of the Most High have changed to hatred.” 11I recall all you have done, O Lord; I remember your wonderful deeds of long ago. 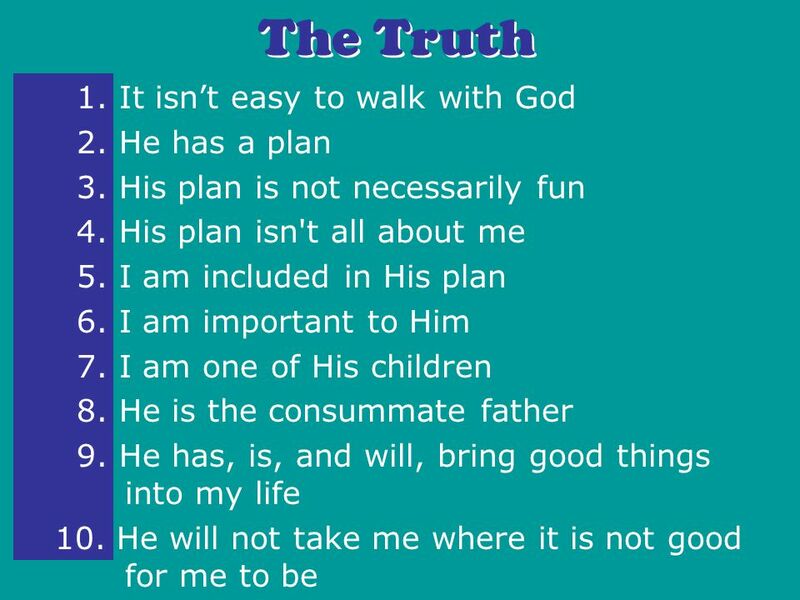 12They are constantly in my thoughts. I cannot stop thinking about them. 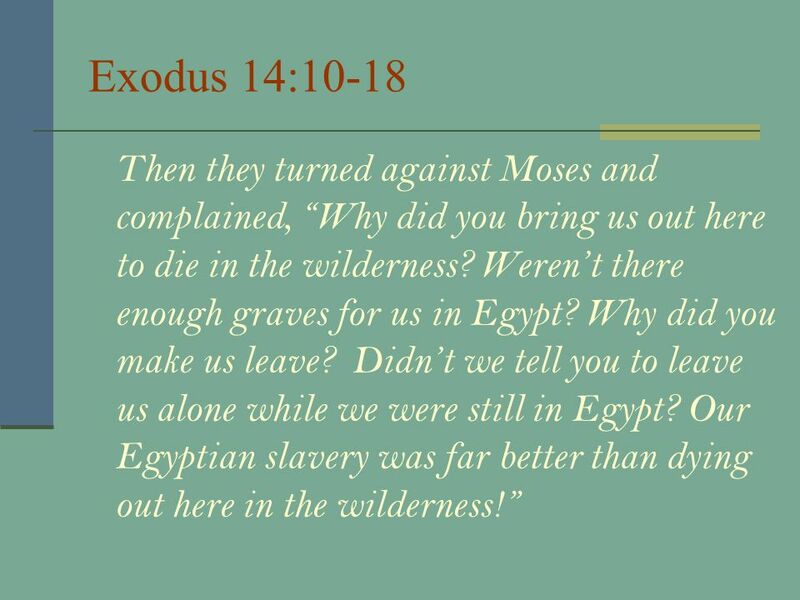 13 Exodus 14:10-18 Tell the people to get moving! 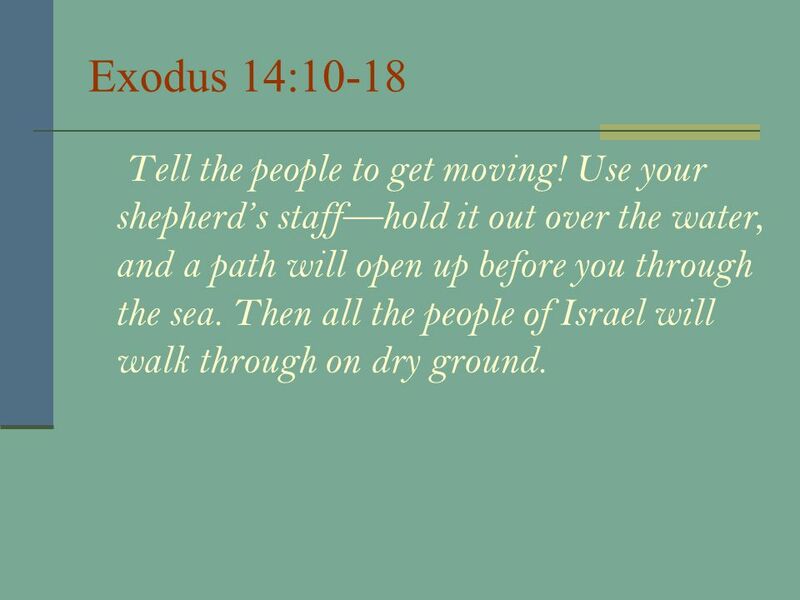 Use your shepherd’s staff—hold it out over the water, and a path will open up before you through the sea. 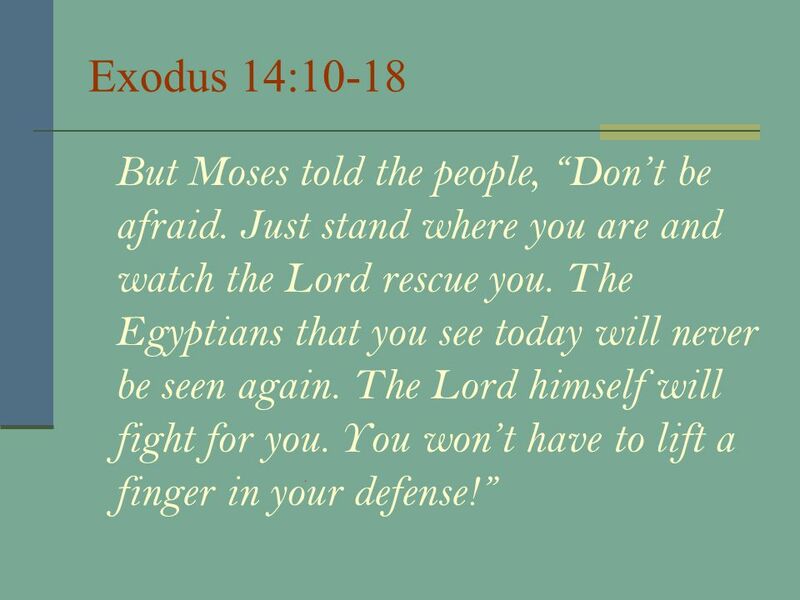 Then all the people of Israel will walk through on dry ground. 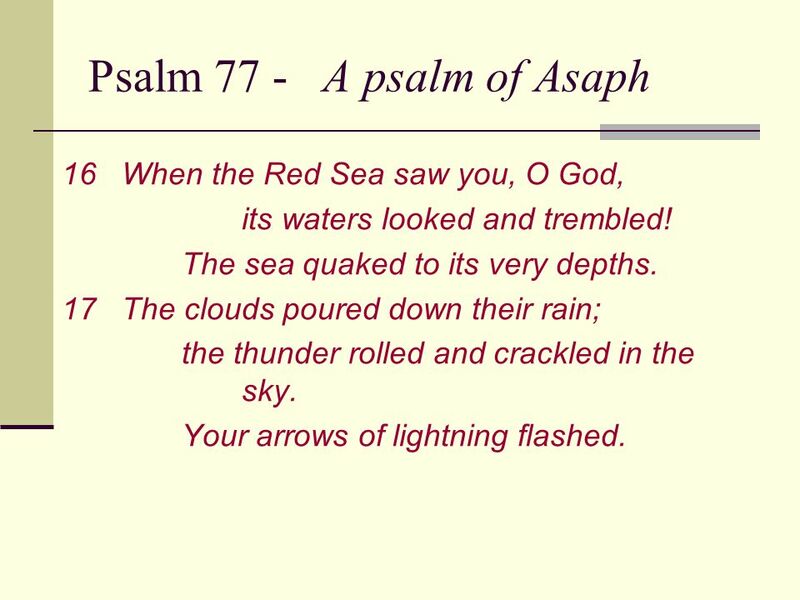 15 Psalm 77 - A psalm of Asaph 16When the Red Sea saw you, O God, its waters looked and trembled! The sea quaked to its very depths. 17The clouds poured down their rain; the thunder rolled and crackled in the sky. Your arrows of lightning flashed. 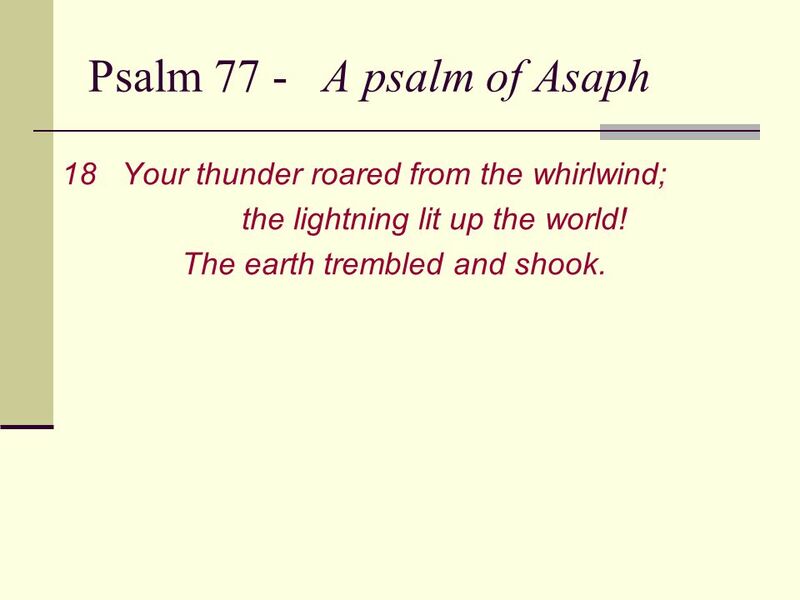 16 Psalm 77 - A psalm of Asaph 18Your thunder roared from the whirlwind; the lightning lit up the world! The earth trembled and shook. 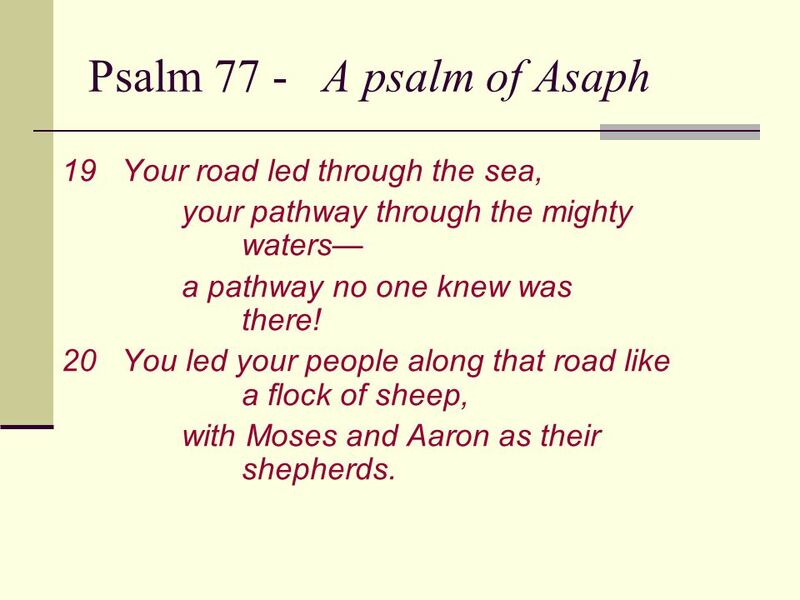 17 Psalm 77 - A psalm of Asaph 19Your road led through the sea, your pathway through the mighty waters— a pathway no one knew was there! 20You led your people along that road like a flock of sheep, with Moses and Aaron as their shepherds. 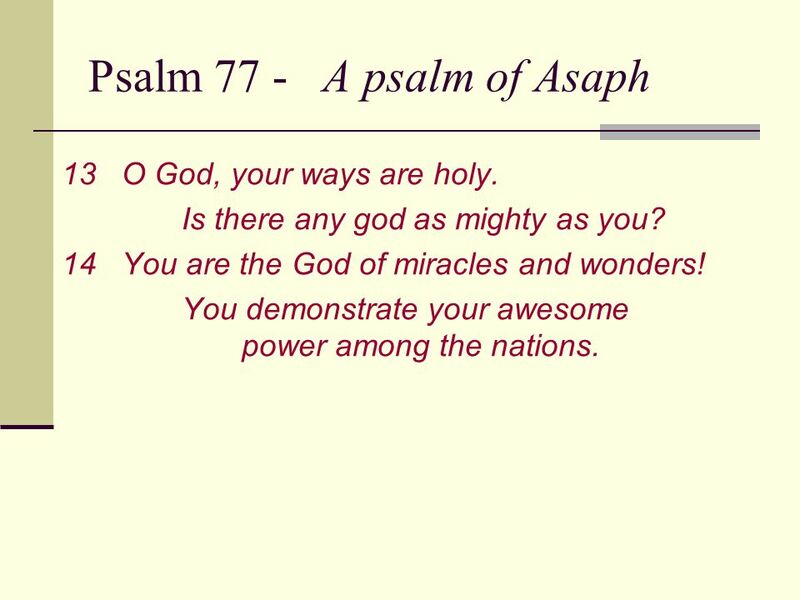 27 Psalm 77 - A psalm of Asaph 13O God, your ways are holy. Is there any god as mighty as you? 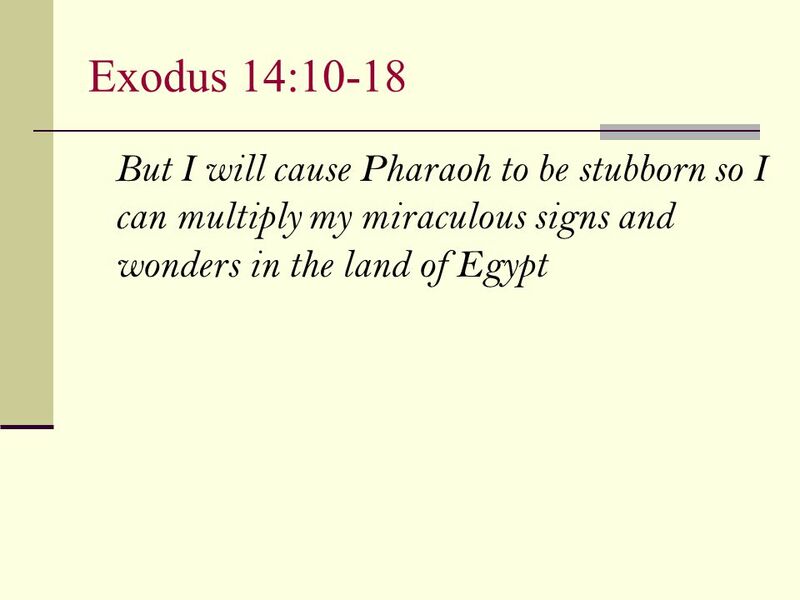 14You are the God of miracles and wonders! 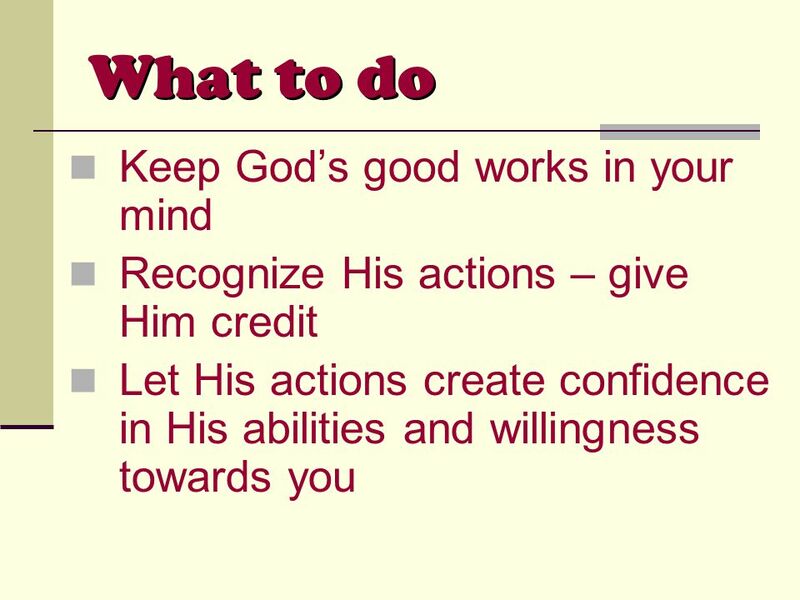 You demonstrate your awesome power among the nations. 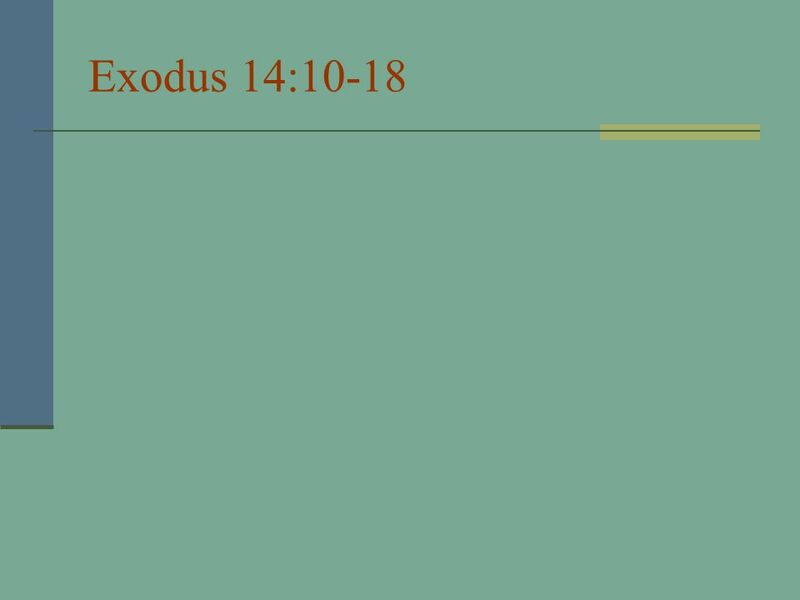 Download ppt "Exodus 14:10-18. 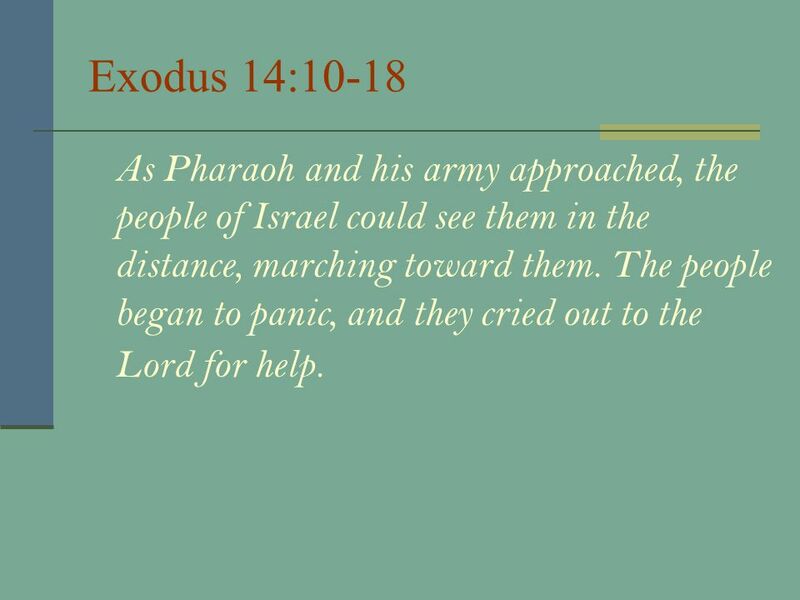 As Pharaoh and his army approached, the people of Israel could see them in the distance, marching toward them. The people began to panic,"
CURE for depression! 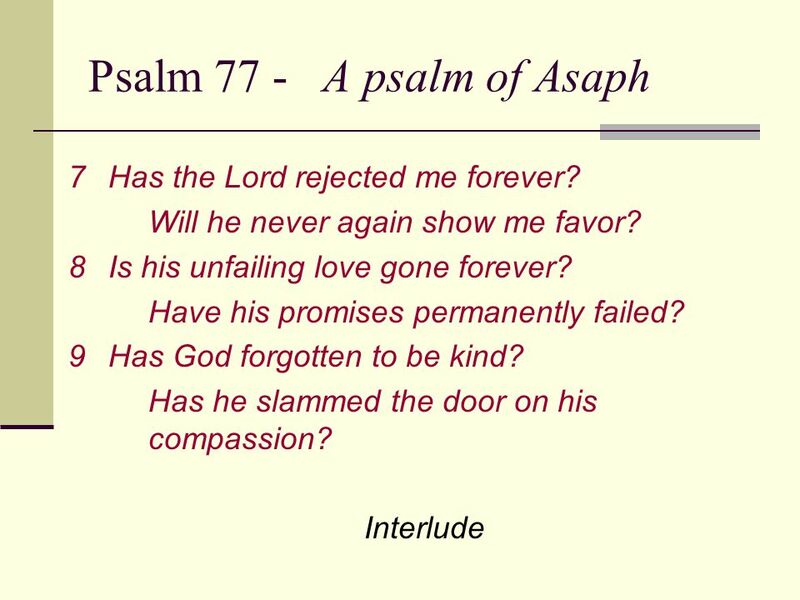 Psalm 77. 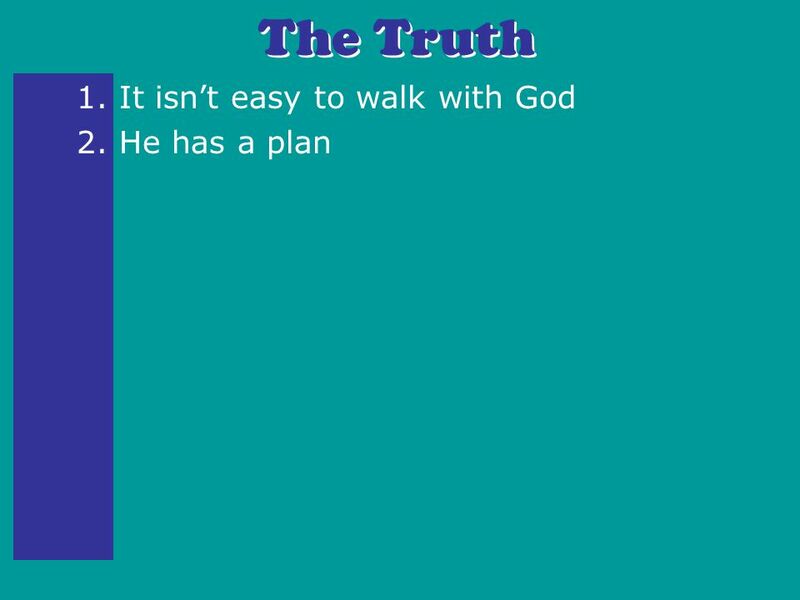 I cried out to God for help; when I was in distress, I sought the Lord; at night I stretched out untiring hands and my. 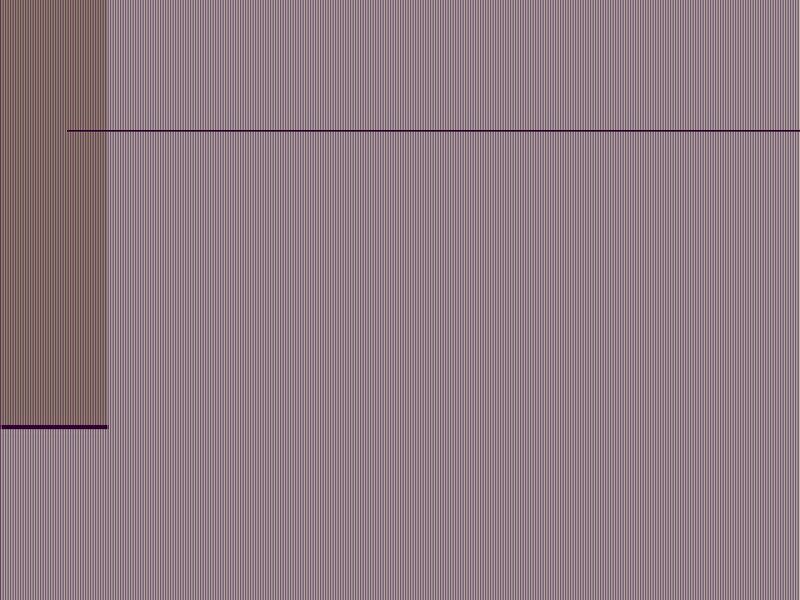 Jun 22Blessings and Curses Jun 29Blessings for all Jul 6Open, Poor & blessed Jul 13Sharing, mourning & being blessed Jul 20Gentle, grounded & blessed Jul. YOU NEW ThemeTheme ThemeTheme A A to PNGUM School Evangelism 2014. 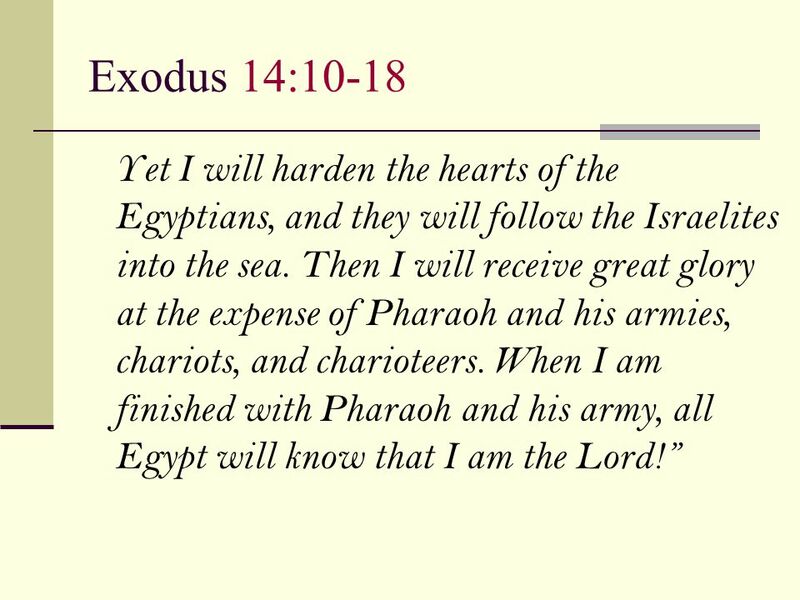 EXODUS 13-15 Out of Egypt. 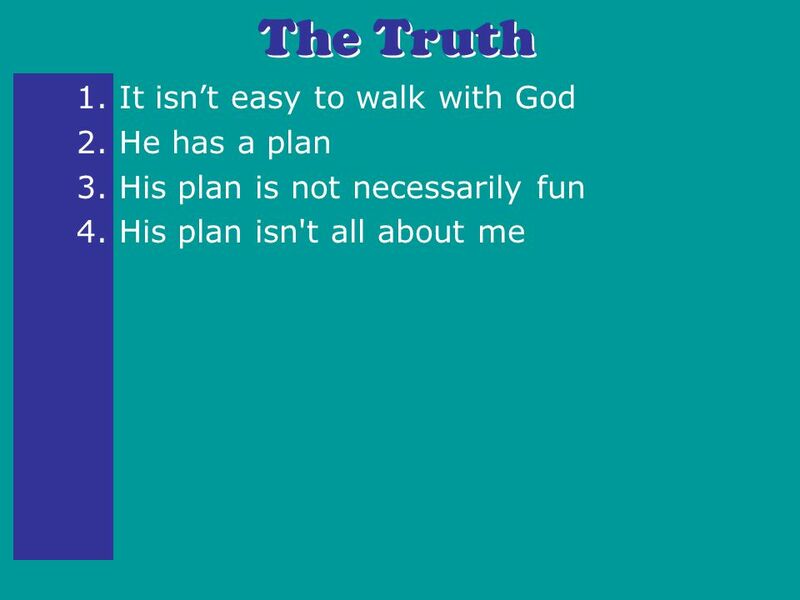 Summary of the Exodus Event Supernatural growth of the child in the womb of Egypt Supernatural Preservation of the child in.